I received a comment yesterday and wanted to share it with you because it is a great decluttering success story and has some very useful tricks that we all could utilise when it comes to decluttering. Not everyone reads all the comments and I didn’t want you to miss it. I have read every single one of your posts over the past month and it has been a fabulous journey for you. I actually spent 6 years decluttering way back 2000-2006 paving the way for me to be able to completely change my life by giving up work and moving across the seas to sun and warmth and experienced everything you have said – how the decluttering muscle gets stronger the more you use it – some things I couldn’t bear to part with in 2000 went out the door with ease in 2006. Another game, I packed as much as I could into 20 collapsible crates and the challenge each week was to reduce the number of crates by 1. Some weeks it could be achieved by repacking, and other weeks I actually had to throw stuff out. Psychologically, the act of repacking was allowing my sub-conscious to begin working on the letting go. One key decision I made years ago is to not judge the ‘value’ of the items i.e. one old sweet wrapper or till receipt = a thing just as much as an old chair = a thing. Makes decision making much easier! One of the most thrilling moments I experienced is the day I suddenly realised I could hear echoes in my home as shelves and walls gradually became clear! Anyway, congratulations again and a Happy New Year to you! I love the idea of small missions within a mission. Whether they be mini missions or like OBC’s 16 week challenge. Smaller missions give you a shorter goal date to work towards. In honour of the small mission concept I am going to add one here that I would like everyone to take up for this week. I will give you a mission a day for the week and we shall see how you went in the end. Which reminds me I didn’t get much feedback on the last set of mini missions I set for you so here is the link to Day 350 if anyone chose to participate at such a hectic time of year I would love to know how did you do? Saturday – Find something that can be used up but has been hanging about in your home for too long and start using it up. This could be moisturiser, something from the pantry, a note pad etc. Sunday – Time to visit your book stash again there must be two books that are out of date or unlikely to be read again. Put them in the donation box. Monday – Evaluate your plastic storage containers are there some you could declutter? Tupperware sells on ebay you know. There are probably some that have seen better days to or ones with missing lids these are seldom used and are probably ready for the recycling bin. Tuesday – Go to a storage area of your home (the garage, a closet or drawer for instance) that you rarely use things from there must be one item of clutter you can delete. 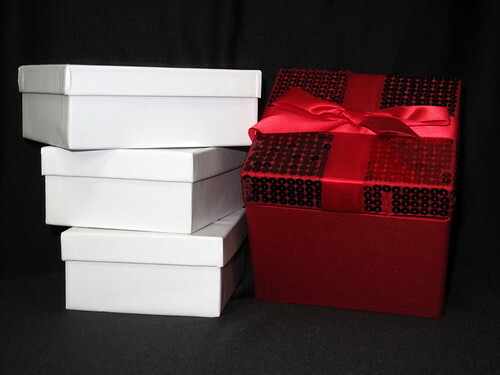 Wednesday – Now that Christmas is over and birthdays are on the way gather all of your greeting cards, gift wrap etc. together in one place. Weed out what you will never use and discard. Thursday – Go and find 1 “I might need it one day” item that you haven’t “needed” for years and put it in your donations box. Friday – Declutter one item from your closet that you know you didn’t use last season. I might just start mini mission Monday as a fixture after this week just to give everyone some easy decluttering ideas for the week. If you like that idea just let me know. All the kind wishes for my first anniversary here at 365lessthings. A cool breeze on an otherwise hot day. The free produce out of my neighbours garden while they are away. Something simple for dinner that includes some of the produce mentioned above. A new year to do with whatever I want. no, thank you for giving me fodder for a post. Like I said not everyone reads the comments and when one comes through like yours it is really worth pulling to the front where everyone can see it. Colleen, I have determined to follow your 1st week of 2011 list and am also slowly doing the one from day 350. I have always used this time of year to “sort & toss” as my mother calls it. I enjoy it. I also use this time to reorganize things and I enjoy that too. Mom thinks I’m a little nuts. We know better don’t we. We are just being true to ourselves and our craving for light and air and space. Ah, the fun of decluttering. we certainly do know better. I think I am now addicted to light and air and space, it’s a beautiful thing. First time poster, have been following you for about two weeks. I was thinking of starting a declutter blog, so I looked around and found you! Your blog is what I was going to do, so instead of duplicating it, I’m sticking with you and just journaling my progress. I loved this comment yesterday as it falls within my goal, one that keeps resonating in my head from 2 years ago…an acquaintance had lost her father and found herself overwhelmed with not only her stuff but his stuff. Her new years resolution had been to get rid of 1000 things, and thinking that was a pretty cool idea, I wanted the same goal. I got rid of a lot but never quantified it. This last year I was so busy with life the home got neglected quite a bit so again it’s my resolution to get rid of 1000 things AND to quantify it this time. It’s been one week and I am up to 100. I had to laugh this morning opening up your blog and seeing the Mini Mission list and pretty much every goal you identified, I have done this last week. I must be psychic, LOL! I am happy to have found your blog and think the Monday Mini Missions will make this even more fun! Great idea! Thank you! thank you for dropping in with a comment, the first of many I hope. As I always say to newcomers here at 365lessthings please feel free to comment and share with us you tips, experiences and epiphanies, and ask questions too because we can all learn from each other. I wish you luck with your mission of decluttering 1000 things the feeling for freedom at the end is certainly worth the journey. I don’t know how many thing we have decluttered from our home over the last three and a half years but needless to say everything now fits in our much smaller house with room to spare unlike the day we moved in. Don’t be deterred from starting you own blog because it really is very rewarding and it keeps you honest in your mission. When you know someone is watching it becomes essential to stick to it and prove you can achieve what you have set out to do. Good luck and I hope to hear from you again soon. And if you ever have a great experience to share with us like OBC’s comment today please feel free to put type it up and submit it to me via an email or my Contact Colleen and I may be able to feature it a a real post. What a fantastic comment from your reader. I particularly loved “how the decluttering muscle gets stronger the more you use it – some things I couldn’t bear to part with in 2000 went out the door with ease in 2006.” It’s so true; I’m a bit of a newbie on the decluttering front (just 2 years for me LOL!) but it’s so true; it gets easier the more you do it. I can’t wait to get stuck into your missions – I’m right on board! Thanks for the continual inspiration…. I will be looking forward to hearing about your mini mission success and thank you also for being an inspiration to me to be more environmentally friendly as I declutter and during my everyday living. Keep up the good work you are doing splendidly. The cocoa powder doesn’t count though if you are going to replace it, sorry. MMMMMM chocolatey that does sound good though perhaps I should bake something for morning tea. You’re a task master!! Ok then, I do have lots of notebooks with about 10 pages left. I have now officially taken on – one in my handbag for shopping lists and another next to the computer for my ‘to do’ list. DD asked me on Friday if we could buy some new notebooks (they were on offer in the shop). I LOVE stationery but I resisted and told her we had some that needed using up. NOW I hope you’re proud of me LOL! I would have picked that half used bottle of bug spray as my use it up item. I am a very thrifty person and don’t like to waste anything even if I wasn’t very happy with it’s performance I still want to do the right thing by the environment (sustainability) and use it up. It takes some time but is very satisfying when you actually a get to the end and know you haven’t wasted anything and it is finally gone. Actually I even get a small slice of satisfaction every time I used these items knowing that I am one step further to the use it up moment. Call me crazy! Good luck with your 1000 thing check up and Happy New Year. 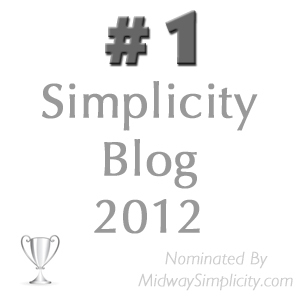 This is the first time I’ve commented on your (wonderful and inspirational and challenging) blog Coleen. My reaction to Jessiejack’s choice was that there are other considerations to make, and that just throwing something into the bin is not usually the answer. So I was pleased to scroll down and see what you’d replied, as being thrifty, avoiding waste and being environmentally responsible are so important. However, this is often where I get stuck – when I’m trying to clean-up/de-clutter, I have a number of competing scenarios going through my head, so I ‘see’ the horrors of landfill, or plastic ending-up in the ocean, or children picking-over rubbish tips to earn a living – you see where I am with this? I recently went through toiletries and cosmetics which I stopped using several years ago. I would have passed them onto friends who could use them, or recycled the bottles. Unfortunately, I found that in every case they were years past their ‘use-by’ date, smelled bad, and were not recyclable plastics. So I bagged them up to put out in the rubbish. And….yes, they’re still here:( What would you do? thank you so much for that very thought provoking comment and welcome to 365lessthings it is a pleasure to have your voice added to the mix. I have a very straightforward answer to your problem. There will always come a time when some things just have to go in the rubbish not everything can be reused, re-purposed or recycled. The best thing is to move on. Learn from the experience and try to be more selective with your purchases in the future. But above all else the idea is to be thoughtful not perfect. We can end up in a world of hurt if we agonise over every little thing that can’t be rescued. There is a redundancy factor manufactured into every item we buy and when it is past isn’t used by date then there is only one thing to be done with it. So grab that bag now and put it in the rubbish where it belongs and don’t loose any sleep over it. Tomorrow have a look at my declutter item and you will see that it is futile to keep things that have become useless and the rubbish is the only logical place for them. If you feel like making amends for the items you throw away go out and spend a morning picking up loose trash in your neighbourhood or in an area around your town that rubbish collects. I was at the beach yesterday and there were plastic bottles on the tide line all along the beach and I intend to make a point of going down and doing my bit to help clean up the mess soon. I hope this advice was helpful and please go easy on yourself you are clearing conscious of your environmental behaviour and that is far more than I can say for a lot of other people out there. The bug spray was 4-5 years old, expired and left over from a trip to the mountains. The chance of me or anyone else using it was nil. While I like to recycle and reuse — some times you just have to let go! I don’t know how I will ever get rid of the other bottle. I will keep that so I don’t need to buy another one for a long time. I am glad to here that. If hate even buying stuff that comes in aerosol cans so I know how you feel. Like I said to Pamela last night sometime things to reach their used by date, break or just stop working and have to be thrown away and we shouldn’t feel bad about that. Hi Colleen, thank you for replying. You’re right of course. And Jessiejack too, I hear you! I follow TheDailyOcean and FakePlasticFish blogs among others, and so am inspired and ready to roll up my sleeves and pick up that plastic. I am glad we could be of help. I look forward to hearing from you again in the future with an update on your decluttering efforts. Congrats on a year, Colleen. 🙂 I’ve really, really enjoyed your posts. Your writing is really taking shape! I think this mini-mission is pretty darn cool! I pledge to do it this week. I’ve started my own 365 project (not on the blog I linked here… on a private journal) and I’d love to get to my own one-year decluttering anniversary. Thanks for the inspiration. why don’t you pick one day a week to document you 7 items for the week on you existing blog. It would be easy enough to relate decluttering to the religious theme of your blog even under the guise of expelling gluttony have a look back on my post on Day 282 The seven deadly sins and see what I mean. You could inspire others to do the same with your blog as it has a different audience to blogs like mine. Just a thought. I wish you luck with you 365 project and I hope you and your family have a very happy New Year. I love the mini mission idea, plan to follow this new one, and did pretty well with the previous one. Also I am really happy that there are going to be days 366, 367, etc! I am glad you are taking up the mini missions. I will not be numbering my days any more but will certainly be here to carry on the decluttering and hopefully be inspiring more people to do the same. Oh boo-hoo. Why aren’t you going to keep numbering your days? You’re going to keep on decluttering. I like a nice organized accounting system. actually I might put the numbering the days idea to a vote because it feels a little odd to me as well. I look forward to hear about your results. Congrats!! I have read your blog every day & after I found it, had to read back to the beginning. It is really inspiring & keeps me focused. I have been decluttering for quite some time now, years to be exact & I have to say, it seems never ending! I do take lots to consignment, Goodwill, thrift stores, friends, & the trash. I am also hoping to eventually have a minimalist christmas too. I love the mini mission monday idea! All the best to you & your family in the coming year! Thank you for your kind word and I am glad to have been an inspiration to you. Keep up the donating it makes it feel better to be able to see the stuff going to a good cause rather than just being wasted. I survived my minimalist Christmas without anyone say Bah Humbug so I suppose if they thought I was a scrouge they weren’t about to say so. I must ask the family what they really thought of it and tell them to be honest just to get some real feedback. I hope you and your family have a wonderful 2011! Our fairly minimal Christmas went well, too. I was inspired by someone at church who said that she only gives her kids 3 gifts each because that’s how many the Bible stories say Jesus got. I liked having a number and a reason for that number. I was afraid the morning might feel skimpy, but between myself, my huband who made a gift for everyone, my parents, and then later the girls’ Godfather and their other Grandparents, it was just right now. Not too much and definitely not too few. good for you. I felt the same way really. I got some chocolates (all gone now) a Pink Breast Cancer umbrella (not boring black and proceeds go the BC research and it will look good as a sun shade as well as rain protection) also a donation of a chicken was made on my behalf through Oxfam and my daughter made me a beautiful book about who I am through her eyes. I am savouring it and have only read the first page so far, if I didn’t read another word I would be satisfied with what she had on that one page. Liam is an unemployed (hopefully that status will change soon) struggling student artist who can’t afford gifts and that is fine because I didn’t want any. And still I had a wonderful day, ate too much, had family around and played card games with the kids due to the fact that the weather was so wet we couldn’t do much else. Thanks to you, the girls got Skip-Bo in their stocking. Audra has really taken a liking to it, and she and I have been playing a lot. I must go now and read another page of Bridget’s book to add a little boost to the start of my day. It is a treasure and the one she did for her dad was lovely too. I am glad the girls enjoyed Skip-Bo. I played it with Liam and the relatives at Christmas and had a good time. We had to play it with 4 packs of normal playing cards using the kings as the Skip-Bo cards to begin with because the real pack was back at Grandma’s house. That worked OK. I like the idea of mini-missions each Monday as well. It helps get away from the problem of “where to start”, whether you’re setting out for the first time or whether you’ve reached the end of a small project within the big declutter. I am glad you are enjoying the mini missions I think Mini mission Monday is a go. They really are a no-brainer way to get oneself up and at it. Thank you for letting me know that you participated and achieved success with the missions on Day 350, good for you. Happy New Year, Colleen! I’m on my way to bed here in Pacific Time Zone. When I wake tomorrow, I’ll set about on my mini missions. Good for you Willow, I am looking forward to hearing about you you accomplished. Sleep tight! Love this website- I have read every single post from the last year and love the pictures of the items you declutter. I tend to be a very spartan person in general, but have to constantly fight the battle to keep my lifestyle as zen as possible. I love the ‘declutter plan’ you posted today. It’s been my experience that one can only do so much to prevent the flow of stuff coming inside the home (think mail, spousal clutter, gifts, etc)…what’s important is that you force the stuff to continue to cycle right back outside the home! We all need nudges every now and again, no matter how minimal our current lifestyle are. Just like muscles that atrophy, our triumph over clutter can quickly become an uphill battle if we don’t keep pushing! well said now that comment is going straight to the Favourite Five for this Friday. If that is the calibre of what you have to contribute I really want to hear from you more often. I especially like the articulation of this statement – what’s important is that you force the stuff to continue to cycle right back outside the home!. What is even more important is to stop the inward flow in the first place and we have more control over that than most of us are willing to admit. Saturday – use up something: Used up tin of salmon that’s been in my pantry at least six months – made a delicious quiche for supper! Sunday – books: Didn’t think there would be any as I have recently decluttered my books; but I found three! good for you taking up the challenge. I am amazed you still have anything left to declutter. Did you know that you were one of my very first commenters way back on day 92. Thanks for sticking by me for so long. Back then you were struggling with getting your photo collection under control. How are you doing with that and what was you solution? This days I tend to delete the not so great photos as I download then to the computer which helps a little. Hi Colleen, no I had no idea I was one of your early commenters, I always assumed you had a readership of thousands, you certainly deserve it! Monday – plastic storage containers: Again I have already decluttered this drawer and I don’t have many, but I found three I rarely use, so they are in the donation box. This mission is very interesting as I reckon I am pretty decluttered already but it goes to show there is always more one can do. Mmmm, photos. Well I have done a job I procrastinated over for a long time, and updated webshots with my quilting photos http://community.webshots.com/user/janettareitsma if you are interested, so that made me feel good. I have also deleted a lot of not so good pics off the computer. But my big “problem” is that I used to do scrapbooking and have about ten albums complete. Nothing done for about five years. I have a bin of papers and notions and tools, a few printed photos and the rest on our computer. How do I decide if this is not a hobby I will or won’t come back to? If not I can donate the bin to my DIL who does a lot and would be thrilled. I feel I SHOULD start getting my pics printed out and get going again, but I don’t FEEL like it and thus the guilt and indecision! Any thoughts? I only started blogging on day 64 of my 365lessthings challenge and I was writing to myself to begin with until I stuck my head in at unclutterer.com and lest my web address there. People started to drop over to see what I had to say and I was no longer a lonely writer. I only have about 220 subscribers and 300 post hits each day but that is enough keep me inspired to blog on. As for the scrapbooking, we are in the same boat there and I have decided that I am unlikely to do any more. I do however still use the supplies to make cards etc and have decided to start an etsy shop soon and see if I can sell my creations in an attempt to satisfy my crafty tendency and diminish my craft supplies. If it takes off I should have enough paper etc to be able to produce product for about ten years I think ;). If all that your supplies are doing is making you fee guilty and undecided it is about time to let it go especially if your stash isn’t that big and you have someone to hand it on to who will really appreciate it. Since it is your DIL maybe you can stipulate that she is to give you back the tools should you change your mind later down the track. Hi Colleen, thanks for the insight on the scrapbooking stuff… will let you know. I made some greeting cards the other day and will make more using some of my nice papers and notions, good idea. Reading about half used notebooks, just yesterday I made five new notebooks out of scrap paper (printed one side), pages from a half used notebook and left over calendar pages and Christmas cards. Got the idea from http://www.recyclethis.co.uk “how do I reuse printer paper?” Cut A4 page in half. Fold in half with blank side out (ends up A6 size). Punch a whole stack about 15 or 20 (on the raw edge side, fold on outside). Make covers from Christmas cards or old calendars, laminated paper is good. Bind with cable ties through the holes (loosely so you can open the book). They are called “hobo notebooks” and I LOVE them! I am using them for shopping lists, soduku games (printed out a stack of grids), freezer contents, menu ideas, etc. look at you, using up your paper and recycling things at the same time. Double points for that effort I say. I also make notebooks out of my excess paper etcetera maybe I should make some for my future esty shop. I too am starting to declutter. So far I have recycled lots of receipts, magazines and other papers. I have sorted out two pieces of clothing, one I’ve not even worn and one I wore years ago and not worn since, which I will give to the charity shop. I have already recycled lots of plastics and things this year and will continue to do so as long as I can. it is a pleasure to hear from you have you just discovered 365lessthings? As I always say we love a new voice to add to our community and hope we can be of help to you during your decluttering journey. You seem to be off to a flying start and just remember no matter how fast or slow you go every little thing counts so long as you are doing something about the clutter you will soon get on top of it. We lok forward to hearing more about how you are progressing. Mini-mission Tuesday – from “storage” drawer, ie one I rarely open! New memo pad and pencil in leather holder – unwanted gift from ages ago. it might be time to use it or lose it. Mini-mission Wednesday – Christmas card, gift wrap, old calendars: a few things re-used the rest in the recycle bin. you are fast becoming the mini mission Queen, you go girl! Mini-mission Thursday – I might need it one day: a pile of old shabby tea towels and hot pads – donated to “Rags” at our local Hospice. you have really got the hang of this mini mission things. You translate the task and well as execute it especially well. Keep up the good work. Mini-mission Friday – declutter one item from your closet: this was difficult for me as I had done a major declutter quite recently, but I did find one pair of shoes I don’t think I’ve worn for a year, so into the donation box they go. Thank you for the mini-missions this week Colleen, it has been a different way of looking at things and a good start to the new year. just remember these are just prompts to get my readers up and decluttering. They aren’t compulsory. If you have an area of the mini missions decluttered already that is even better because you are one step ahead of the missions. I will be happy to hear that you don’t need to do a mission because it is already taken care of. I have a bit of a problem here. I have file after file after file of recipes I’ve copied, before I found a couple of sites where I can store their recipes on the site itself, all beautifully collated by them into sections for different recipes. I’m not going to sort these files out yet – I’m still on the wardrobe, which will take a bit longer. I wondered if there was anything else I could do with them, other than put them in the recycle bin. They’re really great, but how am I ever going to get round to a thousand or so things? Anyone have any ideas for me, please. Other than that, they can go in the recycle bin – I just hate throwing away things that might be good for other people. Thank you. Hugs to you. Always, Leah. maybe someone else will have some ideas for you but I am just going to tell you what you don’t want to hear. Now excuse the food pun, but I would just go cold turkey on this and put them all in the recycling. If you think they are too much trouble to deal with do you really think that someone who has never seen them before will care to sort through them either. There are so many great web sites now where you can find any kind a recipe that you need by typing in a couple of word, like taste.com. Why go to all the bother of leafing through books and papers to find the recipe you need. Whenever I think I would like to try a new recipe, lets say Red Chicken Curry I just google those words and the choice is endless. Click Click Click and I am there. Give yourself time my friend and you will start to see that the ties that bind you to stuff will begin to weaken and you will finally be free from the tyranny of placing too much importance on stuff. Very little of it matters and the more you declutter the more you will come to realise that. Just keep letting go of it and it will begin to let go of you. Been there, done that! Sorted a cardboard box of snipped-out recipes while bed-bound; saved a small plastic file cover with those I “definitely” would try; five months on: have only tried one and it wasn’t worth keeping! And I had saved multiples of basically the same recipes (because they sounded like things we like)- ditched most of those. Now I think I’ll just drop the lot into the recycle bin. They’re only taking up space and guilt. Just recycle them honey and feel the bindings fall away, seriously love you can find anything on the internet! Another way would be to donate them to a local High School or College that has an economics department with Food and Nutrition, (that is where mine went) and all my books and saved recipes were put to good use. Go for it girl and then spin around wildly in your more spacious kitchen, or go hide in your pantry, and jump out and surprise someone, there’s going to be more room in there now hahaha. Enjoy your decision whichever you choose.